Strange one this. 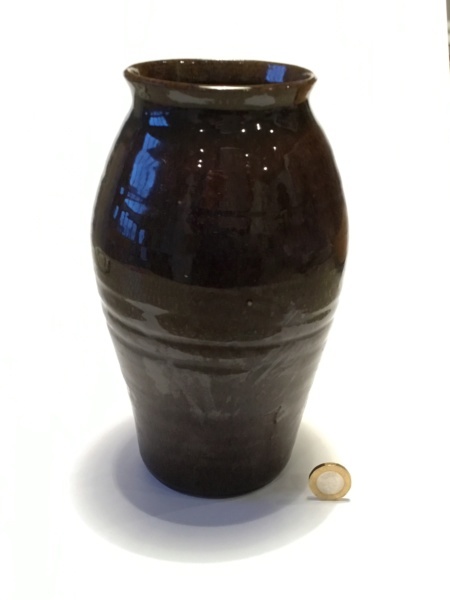 Thrown vase, treacly brown glaze, 23 cm tall, Inoisecore to base CABLE COVERS LTD.
Not found the company anywhere. Looks like quite early studio ware. Anybody? By the way, you have been brilliant with what you’ve told me already. 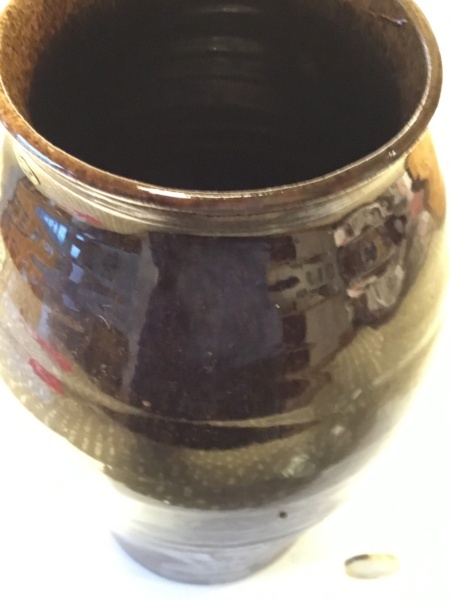 Do tell me to stop if I post too often - I have years of finds which I’ve stuck away as I can’t ID them and I don’t like to eBay stuff if I don’t know what it is. 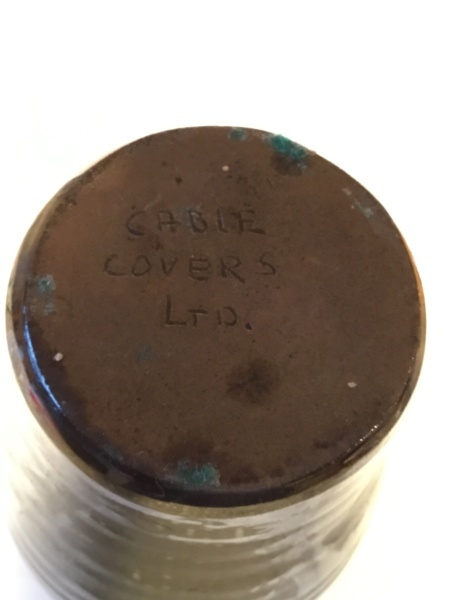 Could 'Cable Covers Ltd' be a client it was commissioned for?